A few years ago we went to a play that included a song simply called "MMMEEEAAATTT!!!" and I always think of that song when we go to a Barbecue place. 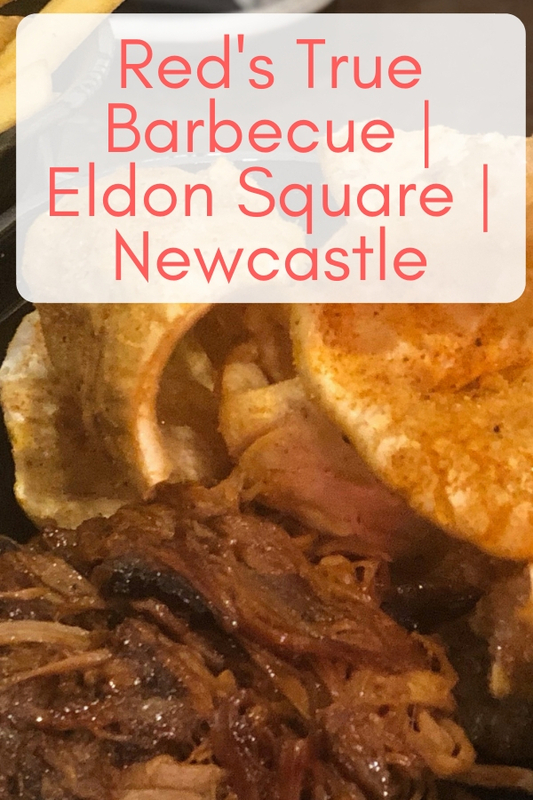 I've been to Red's True Barbecue a few times and I'm always impressed with the food and the service and I'm happy to report this time was spot on again. Mrs. Cool was recently doing a thing for Eldon Square and part of that included a visit to Reds True Barbecue. 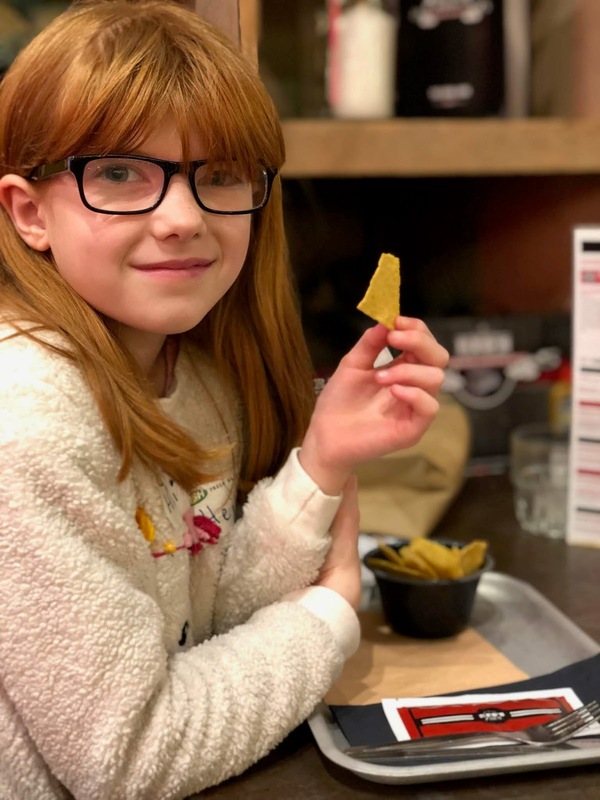 They have have a great offer of kids eat free on Saturdays and Sundays during January (they regularly bring this offer back so check if you're going). Kids get a starter, a main and a dessert with a side and a drink. Heidi is still vegetarian at the minute so she went for Nachos to start and Mac and Cheese with skin on fries had Ice cream sundae for dessert. 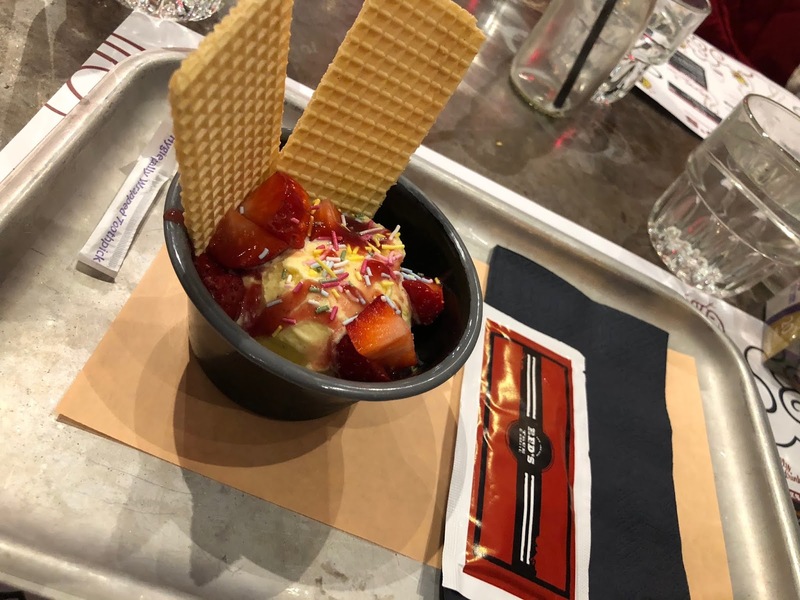 The boys went for Corn on the Cob starter then Cheeseburger with fries, Jack had a sundae for dessert as well and Harry went for the fresh fruit with chocolate dipping sauce. Heidi is funny when it comes to Mac and Cheese, sometimes she loves it and finishes the lot, sometimes she has one mouthful and leaves the rest. At Red's she finished the whole bowl so it gets the thumbs up from Heidi. We had to check whether the burgers have burger sauce on as the boys love burgers but hate burger sauce and a lot of places don't say on the menu if it comes with burger sauce and a few times this has resulted in an uneaten burger, however there is no burger sauce on a Red's Cheeseburger so the boys were well happy. Mrs. 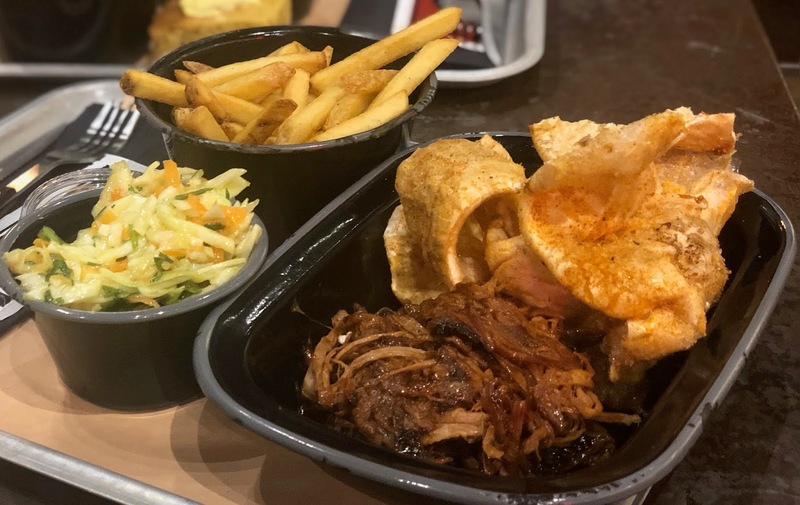 Cool had the Mac and Cheese balls with BBQ sauce and then the Pulled Pork and Crackling which came with Skin on Fries and Slaw. Mrs. Cool said the crackling was great and puffed up like a meaty Quaver. She loved all the food but there was just so much so maybe miss out the starter if you having this dish. 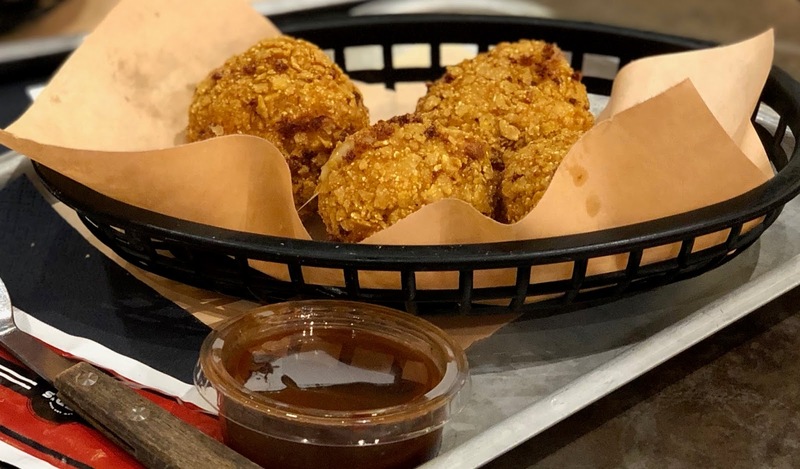 I had the Cauliflower Cheese Hush Puppies with Buffalo sauce, these are great little crunchy balls of cauliflower cheese. 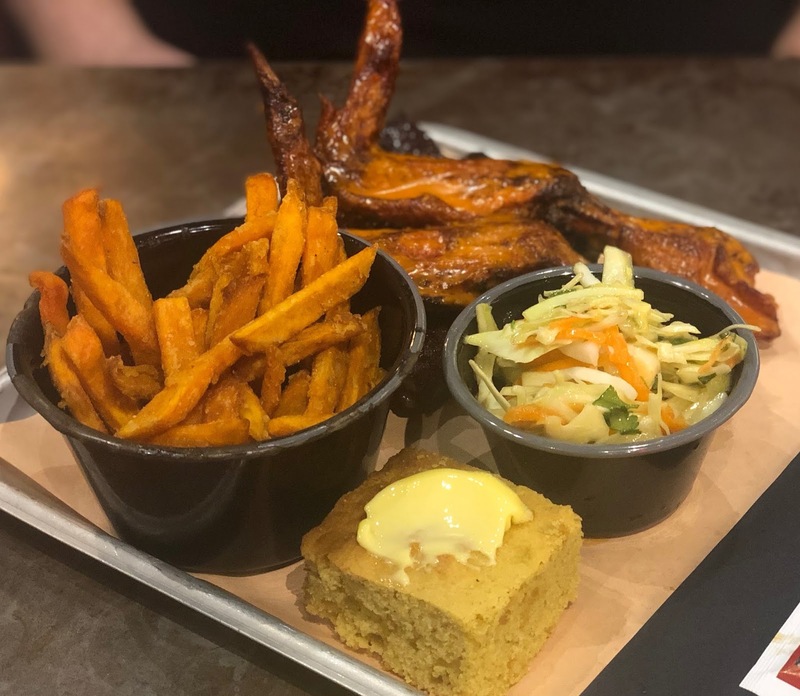 For my main I had the Baby Backs and Buffalo Wings and got mine with Sweet Potato Fries and Slaw and a side of Corn Bread. Ribs and Wings are my fave BBQ meal and these did not disappoint, the ribs were succulent and tender with the meat falling off the bone. The Chicken Wings though, Phew! They are described as XXXL Wings on the menu and when they come you can see why. 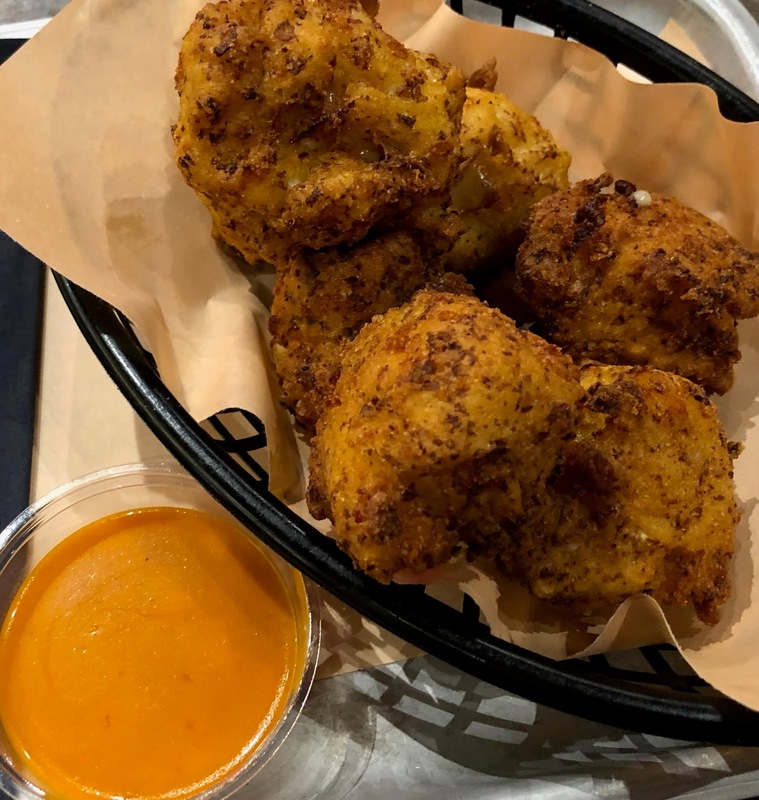 Jack mentioned that they looked more like T-Rex arms instead of Chicken Wings, they are delicious too, very meaty, smothered in Hot Buffalo Sauce. As with Mrs. Cool's main I couldn't finish mine and should have left the corn bread off my order but I just really love the corn bread here, a bit little sweet and very crumbly and great for mopping up the meat juices. We all really loved our food and I can't wait to go back. The staff were all very friendly and helpful too which always leaves a lasting impression, after we were finished it was time to head home for a much needed nap. *Our meal was complimentary as part of Mrs Cool's work with Eldon Square. I was not required to write this post. We've still not been and that really needs to change! Next time we're hunting out food in Eldon Square, this is where we're going to head! lol, i'm sure Simon will love it. We always choose this pace when im with my friend and her kids. it's a win win! I love that place! my kids, well the boys anyway, love it here.